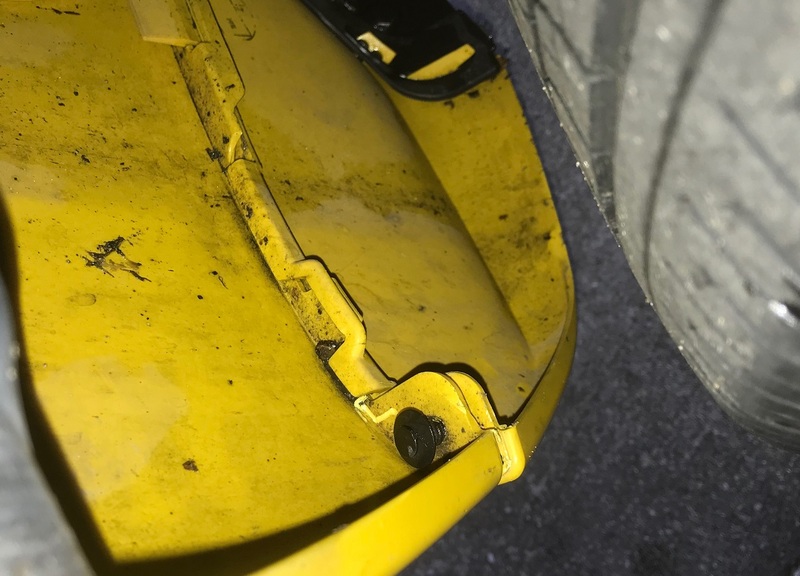 Smart Car Forums > Model Discussions > smart fortwo Electric Drive > Q: Plastic Clip/Plug on skirt needs repaired. 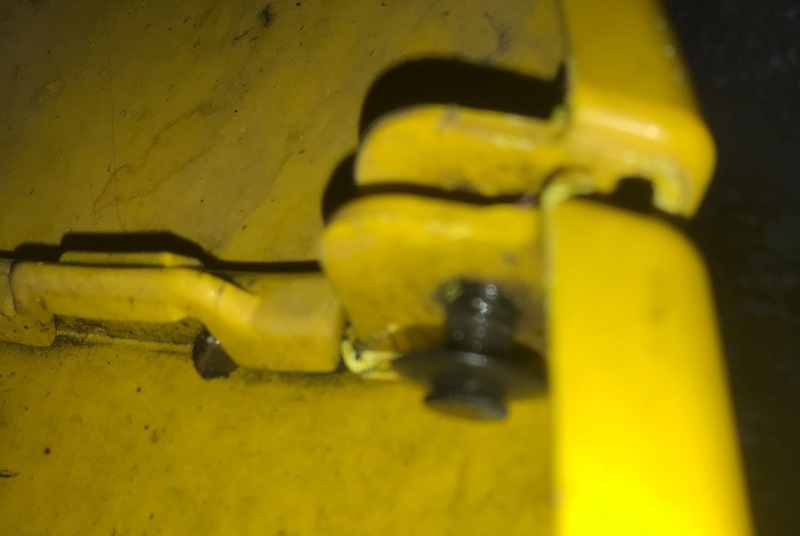 Q: Plastic Clip/Plug on skirt needs repaired. I noticed there is a gap on the rear skirt. When I look at the part that holds it together I noticed it is partially sticking out of place. I cannot figure out how to push it back in. I don't want to break it if it's not already broken. But I have no clue if it is ok or not. I'll post some pics of it. If anyone could explain how this part works and what I can do to repair it, I'd appreciate it. Pull the black pin (center of the black thingy) and it will make the outside of the black connector be able to collapse more. 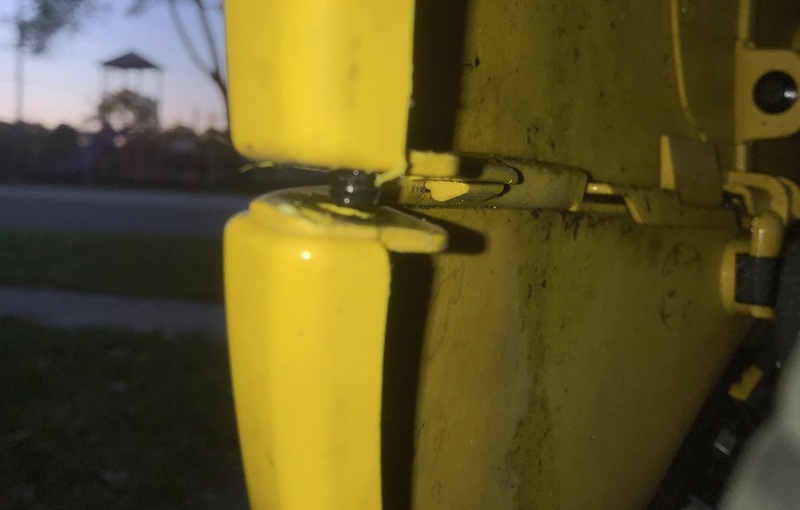 push the yellow panels together and push the black thing all the way in so it holds both halves tight, reinsert the center pin which will expand the black thing, holding everything together tighter. I have pushed up from the bottom right in the center to help release the center pin too. Whatever works. BE AWARE----THIS COULD HAPPEN AGAIN ! We all understand that when the car is freshly washed it not only looks better but it runs better. This "Mud Ball" is an embarrassment to all of us who Love our Smart cars. Finally may I say, I hope your sense of Humor is more active than your wash cloth.